Within the context of the 6th Cairo Conference-4th Cairo Forum, the peasants and fishermen Forum launched a campaign in the defense of the peasants of the village of Sarando. To support the campaign please sign the following petition and help us circulate it. We, the people siginging below, refute and condemn referring civilians to martial courts. Also, we condemn the refusal of the military ruler (The Egyptian President) to countersign the innocence verdict given in the law case against the Peasants of the village of Sarando, as well as his countersigning the sentence made against them in the past. His refusal to countersign means that they have to go through another Emergency Law Court trial. It is a fact that verdicts given in these courts can not be appealed against. Another well known fact is that the administrative power plays a huge role in choosing the judges. All this process is part of the Emergency Laws enforced to in Egypt. 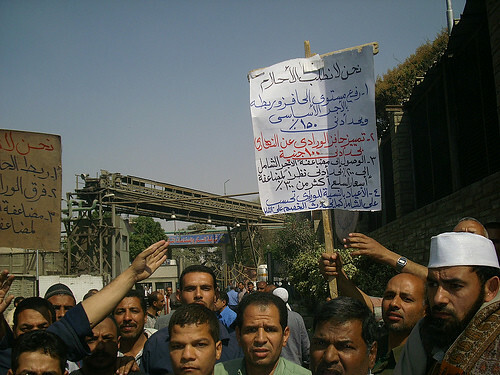 On the 3rd of July 2007, 3000 people from Kafr El-Sheikh governorate took to the streets protesting the blockage of drinking water for more than three months. The water had been transformed to the – around the hour – service of the people on vacation in the resort “Balteem”. The protestors had to block the Interantional Coastal road on Mediterranean, an act that resulted in a road jam that involved cars of cars for an 8 kilo meter distance. 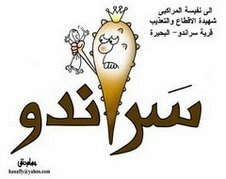 The protest of the people of Borollus, which lasted for 14 hours, beginning at 8 am that day, meant that police station had to inform high ranking security officers in charge of Kafr El-Sheikh Governorate. Naturally, these on their part took the initiative of sending security tanks that were stationed 40 kilo meters away from the protestors. Also, the chief of security of Kafr El-Sheikh as well as the Secretary of the Governorate made it to the site of the protestors, but failed to convince the people to break their protest. 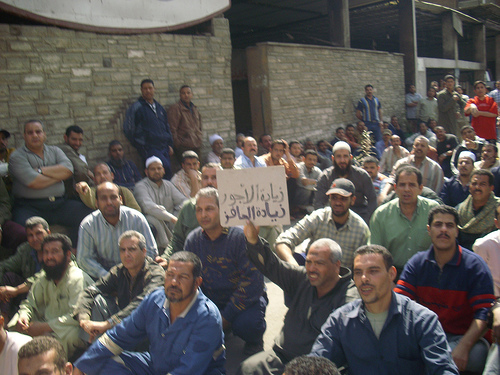 The protestors repeated slogans that portrayed their anger at the General Salah Salama, the Chief of their governorate- who, also, happens to be an x-head of Security serive apparatus in Kafr El-Sheikh – and demanded his discharge from office due to his responsibility in the thirst crisis that took hold of the people of Borollus. The protestors broke their protest only when the drinking water did finally reach their homes. All this means that the cisis was not inevitable and was completely due to the irresponsible attitude of the people in charge, that is since the solution to the problem which lasted over three months came about within a few hours of protest. It is important to note here that the people of Borollus had sent a dozen petitions to the people in charge before their protest, but all their prior trial came to no avail. Lastly, the protest was peaceful and the protestors were keen on the safety of the jammed cars throughout their protest.